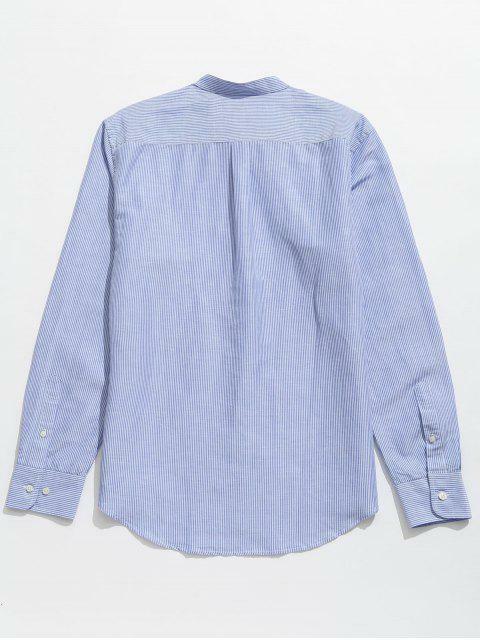 [61% OFF] 2019 Striped Pocket Button Up Shirt In BABY BLUE | ZAFUL ..
Feel bored with regular white shirts in your wardrobe? 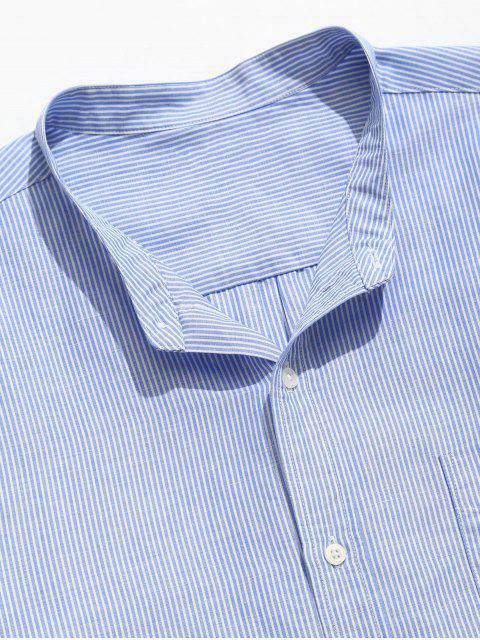 Just try on this striped one and you will want to wear it over and over again. 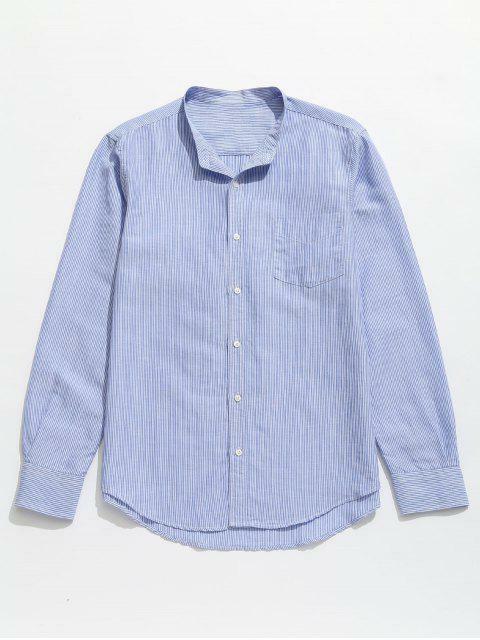 Featuring striped pattern throughout in a relaxed fit silhouette, this casual shirt has long sleeves, front button up closure, and a patched chest pocket. Put on a soft tank top or cotton tee inside will be more cosy.